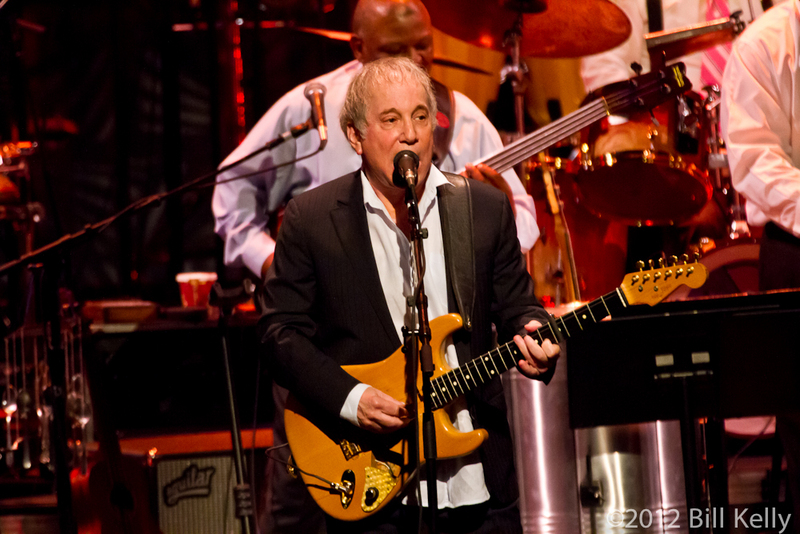 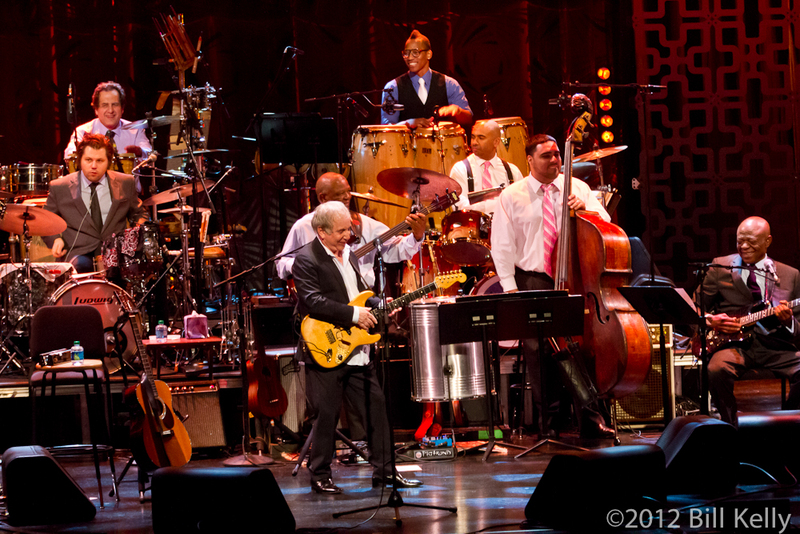 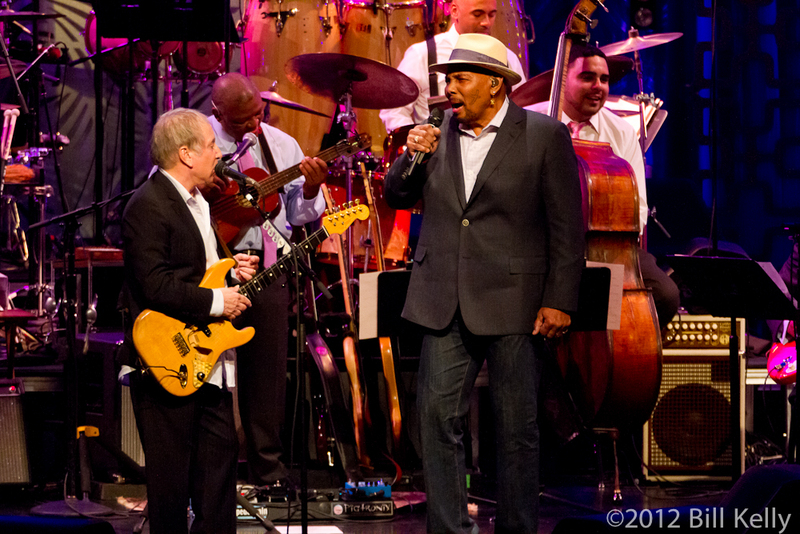 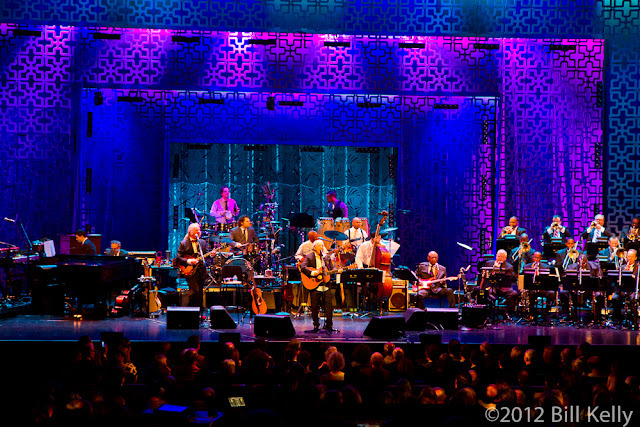 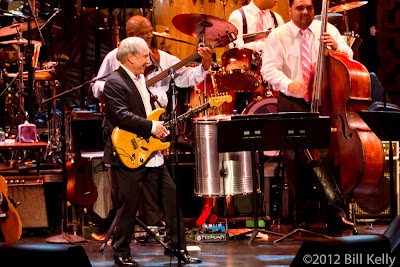 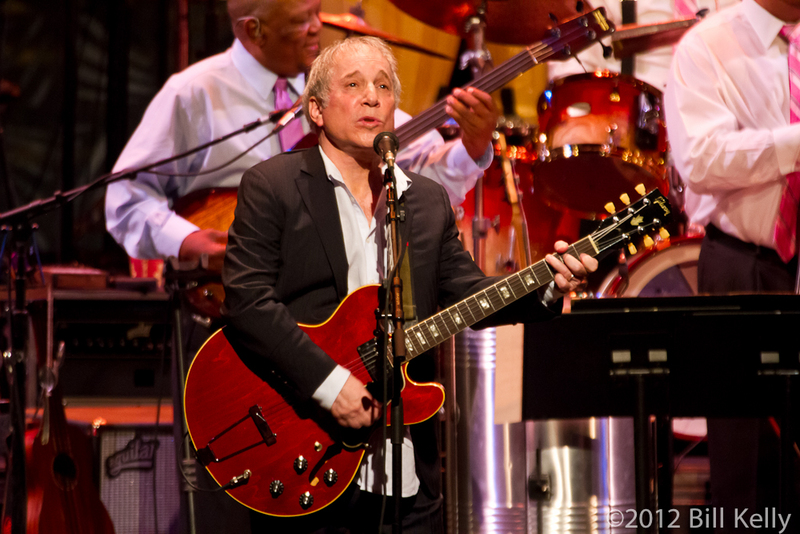 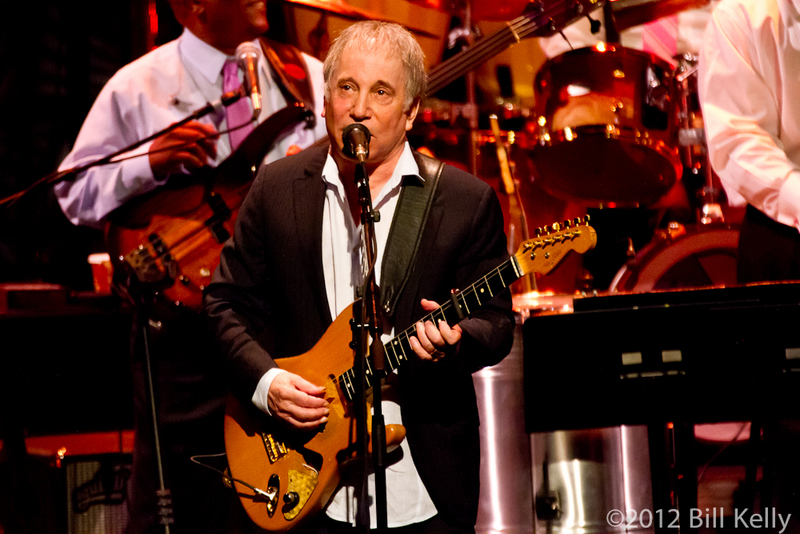 Never known for resting on laurels or a familiar musical path, Paul Simon brought a unique new perspective to his songbook, playing with Wynton Marsalis and the Jazz at Lincoln Center Orchestra for three sold out shows. Exploring a wide range of musical genres since leaving Simon and Garfunkel, this was the first time Simon lent his music to jazz interpretation. Never straying far from original arrangements, the songs were gently tweaked by Marsalis and the Orchestra; the underlying Afro-Caribbean sound and tempos remained, augmented by the horn section and Simon’s band. 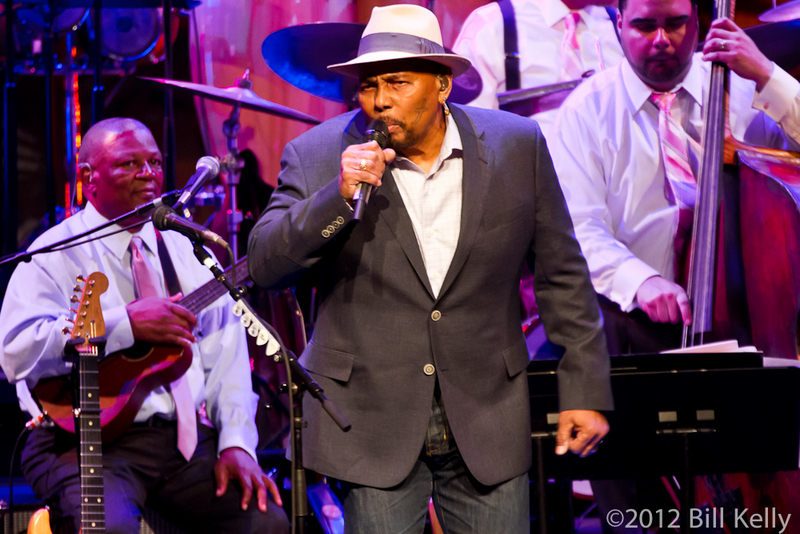 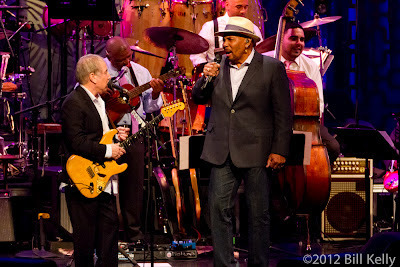 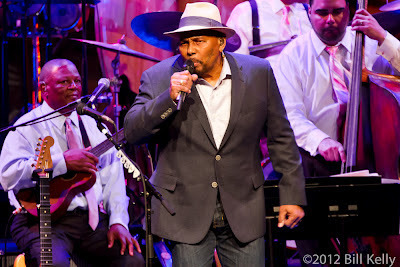 Aaron Neville joined Simon for several tunes, including a duet of “Take Me To The Mardi Gras” and a solo turn on “Bridge Over Troubled Water”. 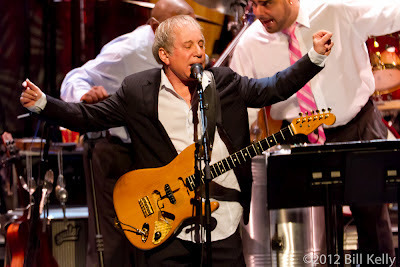 Thanking Simon for writing the song, Neville’s vibrato voice added warmth and a sense of closeness where the original, sung by Art Garfunkel, soared and echoed. It’s not that any of the arrangements were “better” than the originals (considering Simon’s legendary control of his music, how could they be) but rather, wonderfully different, adding depth, color and brightness to these well crafted songs. 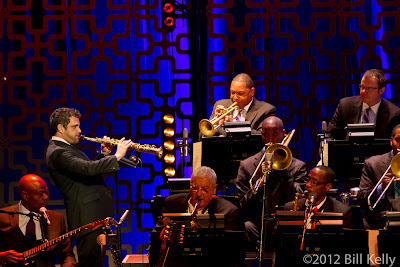 Later in the set, Simon was joined center stage by Marsalis for a quite, beautiful version of “The Sound of Silence”, Marsalis’ obbligato trumpet framing Simon’s voice, which seems little changed from when the song first appeared in the mid 1960’s. Mid-way through the evening, Marsalis took time to remark on the impact of Simon’s music and the personal influence working with Simon had on his life. Simon commented later that it was all about the music, and that the evening was a remarkable “experiment”. 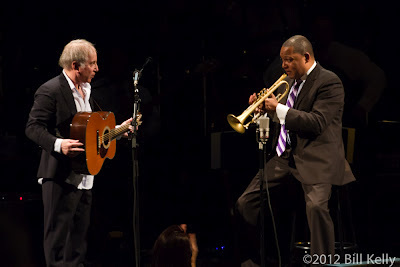 Perhaps “remarkable” best describes the entire evening, with Simon’s legendary songs re-imaged, but not changed, by two master of American Jazz.